Boy, the Nordic Warrior Queen was really steamed this morning. It wasn’t thirty seconds after the toilet flushed that she rocketed out of the bathroom, waving the remnants of a toilet paper roll in my face. 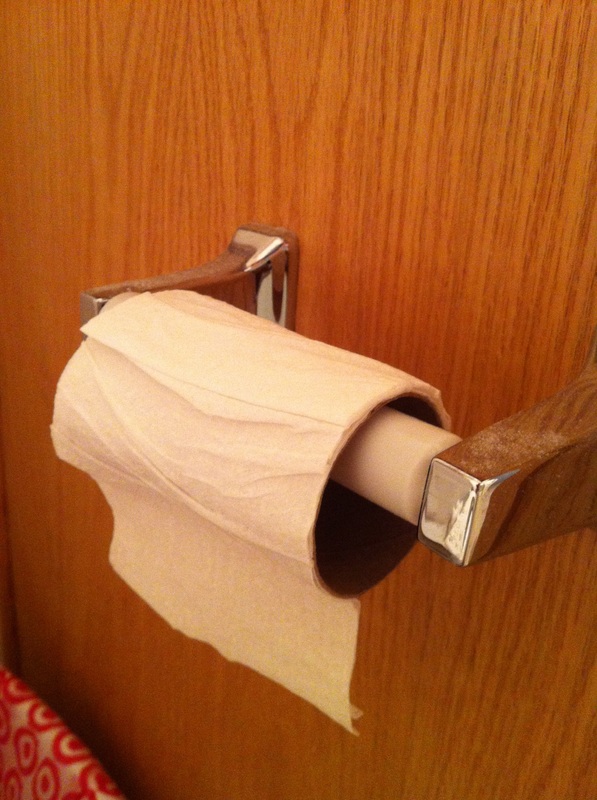 I assumed I’d put the roll on backwards again. “What the hell is this?” she hollered. Now, I’m not the sharpest tool in the shed, but women sometimes leave me confused. “Umm…who?” I didn’t know what else to say. Oh no, not the toilet paper conspiracy again. She’s been going on for years about how the toilet paper companies are screwing us: first they made the rolls bigger – Double Rolls, Mega Rolls, Giganto Rolls, huge Roll-o-Sauruses. All this gigantism meant only that you had to leave the buttwipe on the bathroom counter because it no longer fit in the holder. Then they came up with the jumbo economy packages of toilet paper: 24-packs of Triple Rolls, 18-packs of Garganta Rolls, 48-packs of Super Rolls – packs of toilet paper large enough to wipe the asses of an entire troop of flu-ridden Boyscouts for a week. These things are so big you need a second mortgage to buy one and a pickup truck to bring it home. And after that was the “ply, texture, and comfort” campaign, where the marketing brains at the TP factory dreamed up UltraPly, Cotton Soft, Baby Soft, TriplePly, Aloe Care, Clean Care, Super Soft, and now there’s even environmentally friendly paper, or E-paper, because everyone knows that when you’re sitting on the loo, you ought to be concerned with the world you’re leaving behind. “You’re the man, that’s why.” Naturally, I knew better than to argue with that line of reasoning. "Had I been chosen President again, I am certain I could not have lived another year."